Your personal brand impacts your leadership style, your team and the organisation you lead. Discovering your personal brand is transformational because it forms the basis for connection with others, and this connection is what inspires us and the people we influence. Those with a strong and distinct personal brand more easily cultivate and manage their reputation, credibility and profile. It’s the key to becoming an influencer and gaining trust with the people that matter to you within the organisation (including your team and your stakeholders). When you uncover your personal brand, you become aware of what you stand for, why people should know you and follow you as a leader. In this highly interactive, hands-on training, you’ll explore and develop your personal brand, the crucial skill of storytelling, and how amplify your profile across an organisation. Get in touch if you would like a tailor made workshop for your organisation. Contact us or call 02 8969 6088 to chat about it. We’d love to hear from you. Gain an understanding of the importance and relevance of a personal brand for leaders. Identify and develop their own personal brand which they can use across an organisation. Uncover their stories including their “why” story and influencer/leader story and know how to use them. Identify opportunities to increase the visibility of their personal brand. Have developed the skills to amplify their personal profiles across an organisation. The Personal Braining Training can be delivered as short seminars or delivered as interactive half or full day workshops for corporate teams, tailored to your organisation. We also offer mentoring packages for specific skill development and support. Catriona Pollard is one of Australia’s most dynamic and inspiring trainers and speakers. Her insights into personal branding and communications never fail to enlighten, entertain and inspire audiences. With over 20 years of experience in communications and branding, she is an international speaker, TEDx presenter, popular media commentator and leader of a highly successful public relations agency. Catriona is author of acclaimed book, From Unknown To Expert, which has helped thousands of people across the globe to build their personal brand, use PR and social media to grow their careers and businesses, and inspire them to take action. Catriona has shared her dynamic and practical expertise with leaders both in Australia and around the world and has run training programs for organisations including DELL, CeBIT, Women on Boards, CEO Institute, Commonwealth Bank, Brita, Outdoor Media Association, Australian Institute of Company Directors, Macquarie University and University of Sydney. 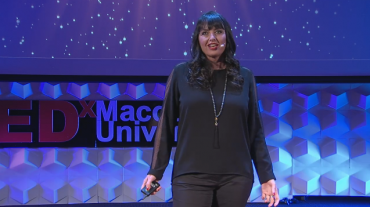 She is renowned for being an inspiring presenter who shares her personal insights and experience to help others, whether it’s with practical advice or shared wisdom. 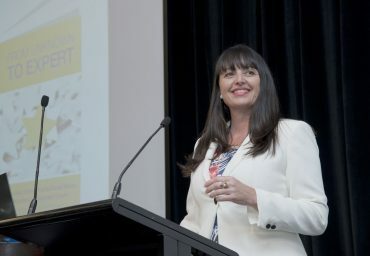 With every presentation Catriona aims to ensure her audience takes away useful insights, specific skills and knowledge that will help them succeed in business and life. She has a reputation for being professional, easy to work with, inspiring and a provider of practical skills that participants feel confident to implement straight away. Get in touch to find out more about booking personal branding training.